Challenge your emoji knowledge by having an emoji-filled message stream with your best friend. See how well you can understand each other using only these delightful icons. Who knew you could have a whole conversation without any words? You can turn your favorite photos into shareable emojis using various apps and online tools. You can finally turn your favorite photo of your dog or cat into an emoji (since we already know you send too many pictures of them anyway)! Create your own customized emoji-filled t-shirt or purchase one through a vendor online (check out Amazon for some ideas). Your favorite emoji can become your new favorite t-shirt. Language comes in many forms and one of most ancient types of language is visual symbols. Emojis are unique in that they are visual symbols that help enhance our written language. They can replace words or whole phrases and still be understood. Emojis were originally created as a way to symbolize emotions with pictures. Similar to punctuation, they express emotion through irony or humor and even suggest tone of voice or body language in text-based communication. They trigger emotional responses in people, which can cause us to be more empathetic. Basically, as we become better in identifying our emotions, we also become better at sensing others' emotions. Looks like "emoji-tional empathy" is trending. 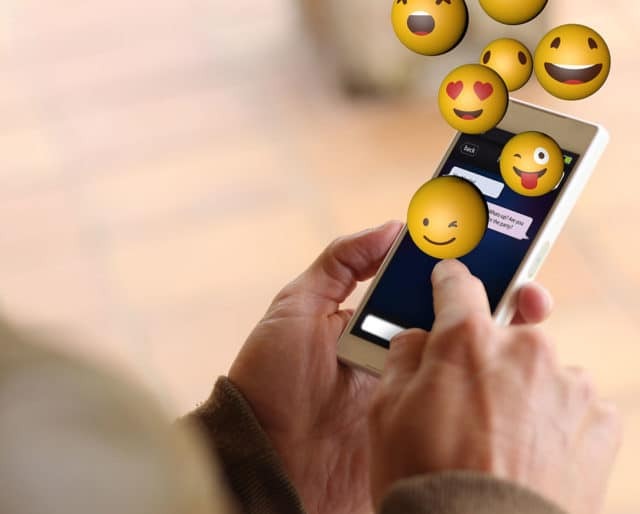 Emojis help us better understand something visually when things can get lost in translation through words. In the Internet Age, they help us communicate better and faster. Let's admit it, they're cute and kind of addicting to use but they serve a much greater purpose. They improve our capacity to communicate effectively with others and make our intended meaning be known. When in doubt, emoji it out!